In accordance with modern trends, in projecting of the hotel, when Alma Garni Hotel was decorated, special attention was paid to the interior of the rooms and suites. The highest quality, natural materials were chosen for the furniture to ensure comfort and pleasure during your stay. In our portfolio we offer you a total of nine twin rooms and eight single room with the same concept of decoration and six twin rooms with kingsize bad and mini kitchen (apartments). Excellent service and comfort were the guidelines in decorating all the spaces of the hotel. Respecting this premise, we made sure that all beds are made of solid wood, with anti allergic mattresses, and bedclothes made of anti allergic and antibacterial materials. 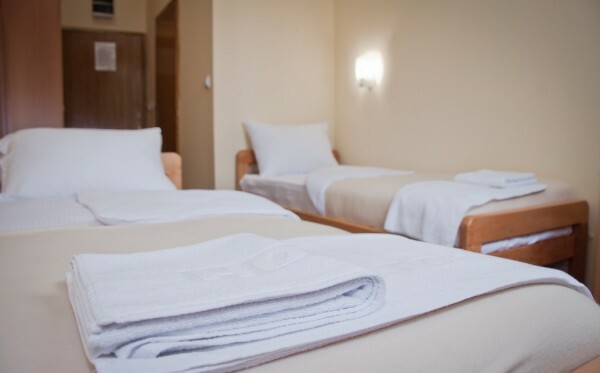 Hygiene is at a high level, bedclothes and towels are changed regularly.